IT WAS the team tipped to win and on Friday morning Boyne Smelter's raft team took no prisoners as they dominated the Great Raft Regatta. 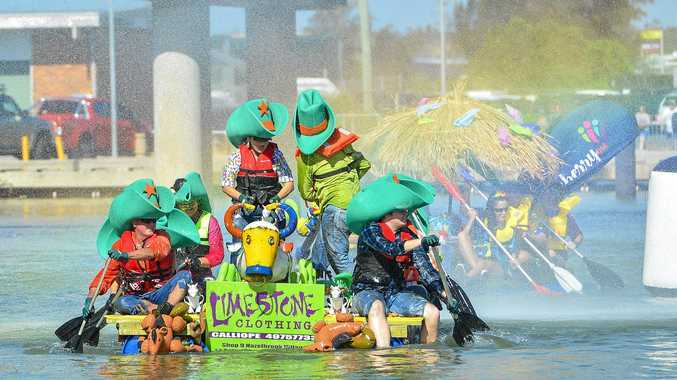 Sporting wild costumes and colourful rafts, about 20 raft teams took to the starting line this morning including The Observer, Gladstone Midwives, Clinton School's BBQ breakfast raft and the glittery dad's from En Pointe Dance Company. Team Programmed's raft had a secret methane weapon but it was no threat for the apprentices from Boyne Smelter. 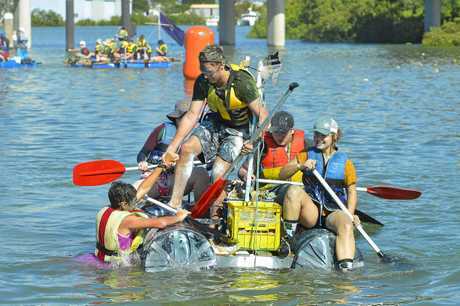 Fourth year mechanical apprentice Andrew Schellebeck said it was his first time in the raft race and was excited that his team took out first place. "We were just determined to keep the paddling in sequence and keep the raft straight, we also were communicating well and working as a team which was the most important thing," he said. 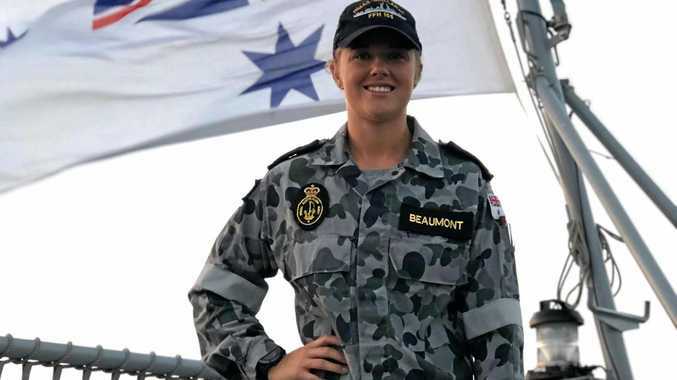 "The methane raft did worry us a bit but luckily our determination to aim for the first buoy without any hiccups worked to our advantage for the rest of the race." Dance dad's from Gladstone's En Pointe Dance Company were dressed appropriately in pink tutus and shiny pink headbands. The raft, the Nutcracker was put together by the team of dads. Dance dads Glen Johansen said he was proud of how well the raft went as well as the team made up of four ballerinas and a team of determined dad. The 48-year-old dad rocked his pink outfit. "We're just the dads, we don't dance. We just finance," Mr Johansen said.